You lucky dog! You’re in Hawaii over New Years! Now, the only question left is: Where can I ring in 2016 if I’m staying on Maui, Kauai, or the Big Island? 1. Mauna Lani Bay Hotel and Bungalows: The hotel is hosting two special dining options — at the CanoeHouse for five-course dinner ($180 per person) and a New Year’s Eve Oceanside Dinner Buffet ($165 for adults and $80 for children ages 5 to 12). The New Year’s Eve Oceanside After Party includes desserts, party favors, dance music, midnight champagne toast and fireworks. This NYE party starts at 9:30pm and runs until midnight. Pricing is $60 for adults, $30 for teens (ages 13-20). 2. Fairmont Orchid: Head to the Fairmont Orchid for a New Year’s Eve celebration called “Sparkle into 2016”. Pricing starts at $100 per person for the party portion only. Dinner options start at $220 for adults 21 years and older and $145 under 21 years — both options include entrance to the party events. The celebration into midnight includes dancing and a “midnight fire extravaganza” show. 3. Sheraton Kona: The Sheraton Kona Resort in Keauhou is featuring a four-course New Year’s Eve Dinner ($95 per adult) at Rays on the Bay. The resort will also be hosting a luau dinner buffet and party called “Catch the Heat” (pricing starting at $150 for adults, $92.50 for ages 5 – 12 and $18.50 for ages 5 and under. You have the option to go to the party only ($75), which includes appetizers, hosted bar, DJ and midnight celebration. The Sheraton Kona Resort in Keauhou is featuring a four-course New Year’s Eve Dinner ($95 per adult) at Rays on the Bay. The resort will also be hosting a luau dinner buffet and party called "Catch the Heat". Come without the kids or bring the whole brood since kids enjoy special pricing. 4. Fireworks at the Grand Wailea: The hotel plays host to a wonderful, full-tilt celebration at its Bistro Molokini. Dinner, dancing and live music are a just a sample of what to expect. Ring in the New Year with a huge pyrotechnics show at the end of the evening. 5. Ritz Carlton Kapalua: This year, the hotel’s New Year’s Eve Celebration runs from 4 p.m. to 2 a.m. and features a Hawaiian duo and hula dancers, followed by a live band at 8pm. If you’re wondering what to do with the kids, children 5 and older can start their New Year’s Eve night with a fun Keiki Paina (party) dinner buffet at the Ambassadors Hale. After dinner they venture out for a guided night hike followed by a New Year’s Eve celebration with dancing, games, movies, face painting, snacks and sparkling cider with a fun dessert surprise! 6. Kaanapali Beach Hotel: New Year’s Eve at Kaaanapali Beach Hotel’s Kupanaha Theatre is a night filled with magic and manna! Featuring world renown illusionists, music, Hawaiian culture and lore, not to mention bubbly, a midnight balloon drop and buffet breakfast to make the night complete. The Grand Wailea lights-up during the holiday season. Shown here are its trees, lit with white lights to welcome holiday visitors. 7. Sheraton Maui: Choose between a New Year’s Dinner or a New Year’s Eve White Party — or do both! Ring in 2016 with a celebration full of friends and aloha beginning with a New Year’s Eve Dinner Tasting Menu at Black Rock Kitchen. First seating: $150 per person. Second seating: $250 per person (includes a glass of champagne, party favors and entry into the New Year’s Eve White Party in the Sheraton Maui ballroom. The New Year’s Eve White Party features five DJ’s throughout the evening, an incredible light show, and the best mix of party people on the planet. Ignite the night and ring in 2016! Dress to impress in your best white attire. This is a 21 and older party only! $30 for adults presale. Doors open at 9 pm. 8. Pride of Maui: Savor gourmet cuisine and decadent desserts as you cruise along the star-lit coastline. 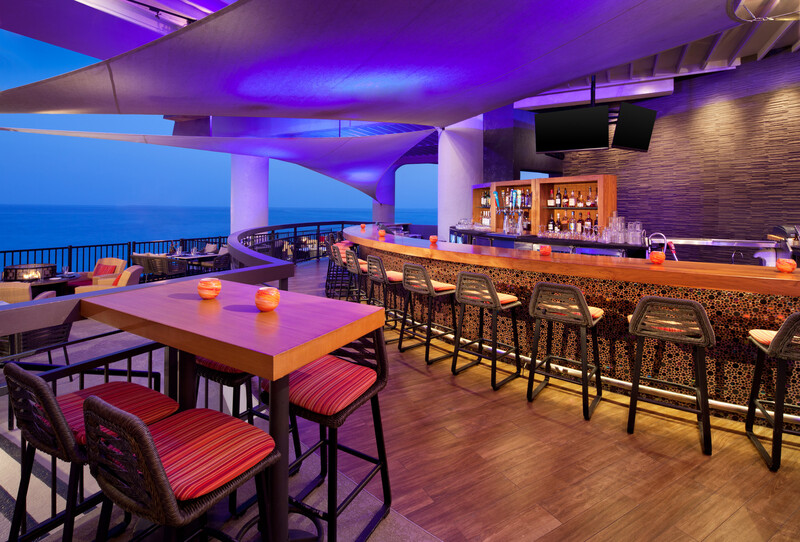 The Pride of Maui’s fully stocked premium open bar features select wine, tropical blends, martinis, mai tais and ice cold imported beer. Sumptuous food, premium open bar and a midnight champagne toast are all included. Live music is provided by popular local artists recognized for a repertoire of diverse music ranging from jazz to reggae to good ol’ rock and roll. This unique Maui New Year’s Eve cruise will find you up on your feet and in the groove. 9. Pacific Whale Foundation: The Pacific Whale Foundation is offering a New Year’s Eve cocktail cruise that depart from Maalaea and Lahaina harbors. Both are $84.95 per adult, but book online to save 10%. Children are welcome, and pricing starts at $61.95. 10. Poipu Beach Park: Join the community at the Poipu Beach Park for New Years Eve bands, food trucks, a movie, DJ music and of course fireworks! The event runs from 5:30-10:30 p.m. Fireworks are between 9 and 10pm. Spending the first moments of 2016 on one of Hawaii’s neighbor islands is an exceptional way to bid aloha to 2015. And, it may not be too late to book your hotel stay and enjoy big discounts through Hawaii Aloha Travel. So, grab your bubbly, and head-out to one of these outstanding events!